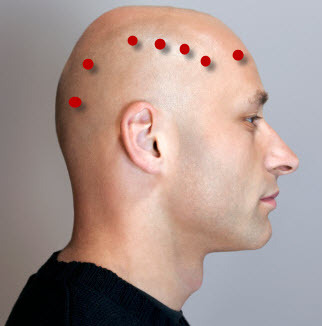 Moving a little down from the head is the neck, a very important body part indeed, although head is the site of the brain, but it is the neck that has the power to turn it whichever way it wants. 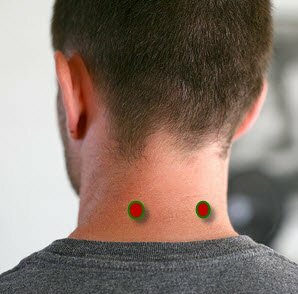 But with modern day technology and computer centric life style we are more often plagued with pains and discomfort in the neck and shoulder region which is often the cause of throbbing headaches as well. All the points situated in the head and neck regions are yang points, with excessive energy flow through them and reflexology can be used effectively in providing permanent relief to discomfort and nasty pains in these regions. In all these cases it is usual to feel discomfit to numbing pains in the neck and shoulder region which is easily cured with simple exercises within a few days. But in some cases the neck pain can be persistent, for several days or weeks with a stiffness that can spread to shoulders, back and even lead to head ache. Such cases call for immediate medical attention by professionals. Neck and shoulder pains can be quite menacing and hinder our day to day activities, but instead of restoring to temporary solutions like pain killers use reflexology to heal the aliment from within and move towards overall wellness and complete harmony between mind and body. Acupressure is a complete healing therapy that is rooted in ancient eastern healing arts which helps in curing the mid and irritating as well as the all-consuming throbbing pains that has become a part of modern life. It helps in relieving stress and bringing back balance in our life. These 6 simple acupressure points can be stimulated on your own or a therapeutic acupressure session can be given to a loved one in order to relieve pain and stiffness of the neck and shoulder. Shoulder Well- This point is located on the shoulder muscle, half way between the base of the neck and the end of the shoulder muscle. Stimulating this point helps in relieving stiffness of neck and shoulder. It also helps in relieving back pain. Completion Bone- This point is located on the occipital ridge, in the depression behind the ear in the SCM muscle. Stimulating this point helps in relieving headache, neck pain and dizziness. Heaven’s Pillar- This point is located on the occipital ridge, just at the side of where the spine enters the skull in the tendon. Stimulating this point helps in relieving neck pains, numbness and stiffness of neck. Stimulating this region also helps in relieving chronic cough. 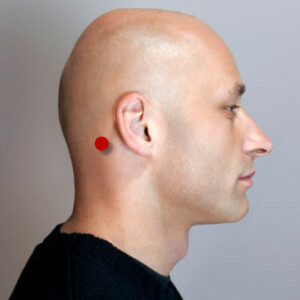 The next region consists of a series of 7 points situated on the head. We have shown these points in the diagram with help of numbers from 1 to 7 starting from the forehead. Stimulating all these points simultaneously helps in relieving neck pains caused by arthritis and frontal headaches. Celestial Window- This point is located in the muscle, under and slightly behind the earlobe. Stimulating this point helps in reducing neck and shoulder stiffness and headache. Union Valley- This point is located in the web between the thumb and the index finger. Stimulating this point helps in reducing tension and uneasiness in the neck and shoulders. Stimulating this point is also a great way of relieving stress and anxiety. Now that you know the specific acupressure points that can be stimulated to alleviate the pain in neck and shoulder region, here are a few simple tips that you can use to make the session an unforgettable experience for the receiver. Acupressure has an extensive history and has been used effectively for ages to cure various ailments and diseases. Feel the soothing touch of this intense therapy as it enters your being and restores the balance between your body and the natural elements. Don’t forget to share your reflexology tips for curing neck pains with us. what can I use to eliminate back, neck and shoulder pains? 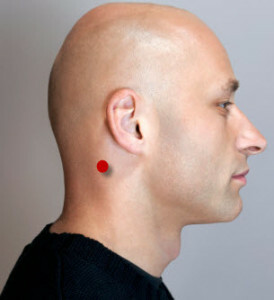 You can try stimulating the pressure points mentioned in this article. It is really a great informative article. Would it be the same for a pregnant patient? Yes, it will help you as well. Stimulate this point. at the junction of inferior and medial part of antihelix crus. This will help reduce excessive sweating. I am facing a muscle strain on my left shoulder. 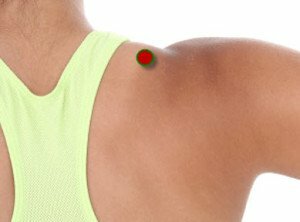 What is the perfect acupressure point to get relief from it. Dear Bipasha, Should we consult the professional acupressure practitioner or should we start following your tips ? This does not mean I have doubts on your information and knowledge. Please guide so that I will start treating my stiff neck.